I have been blogging now for just over a year, and what an amazing year it has been! I have been so lucky to work with great brands, and have some wonderful experiences. 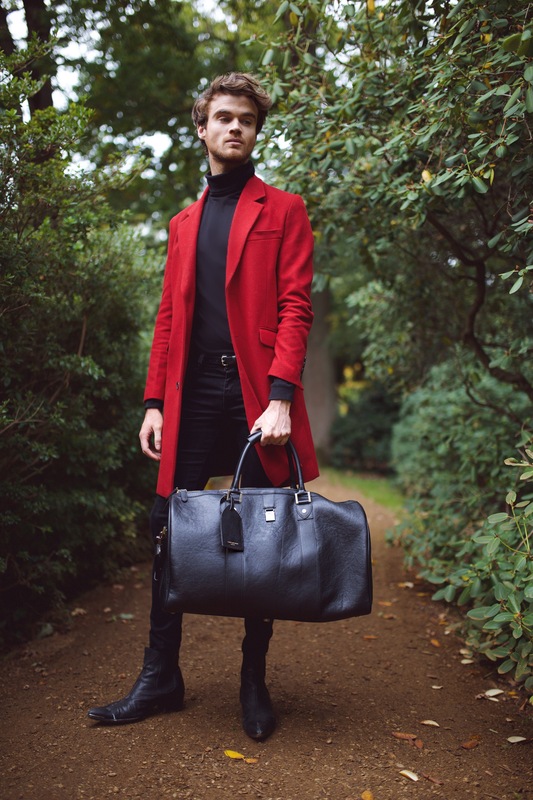 Last month Aspinal of London named me as one of their Menswear and Lifestyle bloggers of 2017 – I cant describe how thankful for this I am, that little old me after just over a year was put in the same article and category as some bloggers who I have admired for a long time. This is the start of a great relationship that I now have with the Aspinal of London brand, and thought it only just for me to share a bit of info for you all one who this fabulously British brand are, and a little showcase of their product – because you’re going to love it! Launching in 2000, Aspinal of London started off manufacturing premium small leather goods (I think as some point everyone has wanted an Aspinal card holder), as an online retailer – before quickly opening it’s first stall at quintessentially British department store, Selfridges. Now, Aspinal of London has over 9 stores across the U.K. and has collaborated with acting legends such a Elizabeth Hurley through to modern day pop stars such as Mollie King. So I had to make the tough decision of what my first Aspinal of London bag would be, there were so many beautiful ones to choose, but I thought I should go for a classic and picked the Boston Bag in black pebble calf. 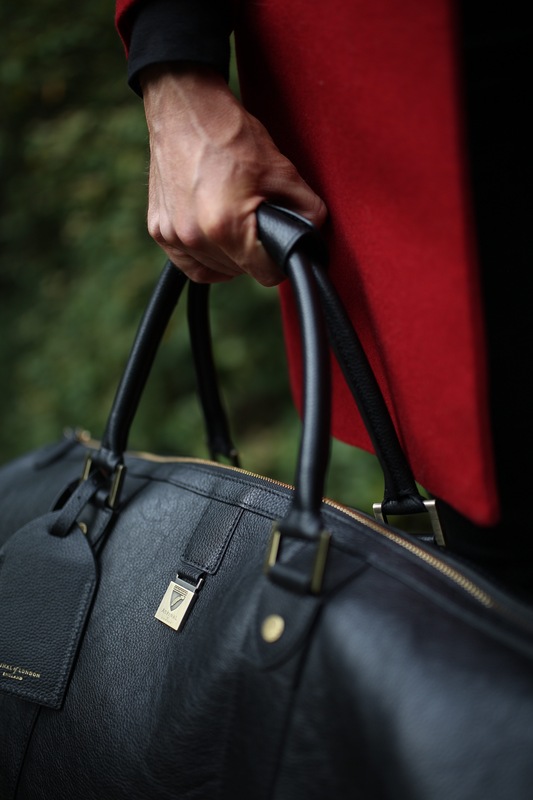 The Boston Bag is handmade by the Aspinal team in soft and supply calfskin leather, and is beautifully accented by signature decorative rivets and plaque that is synonymous with the Apsinal of London brand, still with a worn vintage look. The bag is perfect for those long weekends away, and fits as hold luggage on a plane as well if you want to jet off on the spur of the moment! 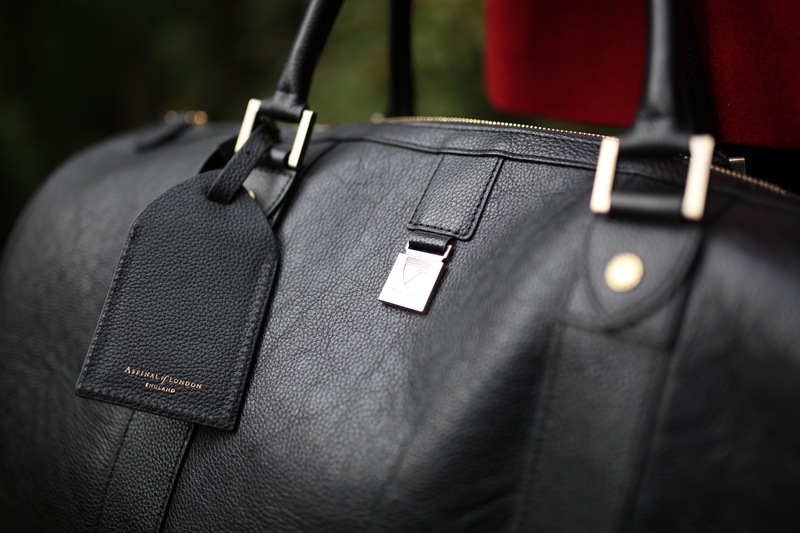 It comes with a large luggage tag, that can be personalised with up to 4 letters, that harkens back to the premium leather good Aspinal launched with back in 2000. 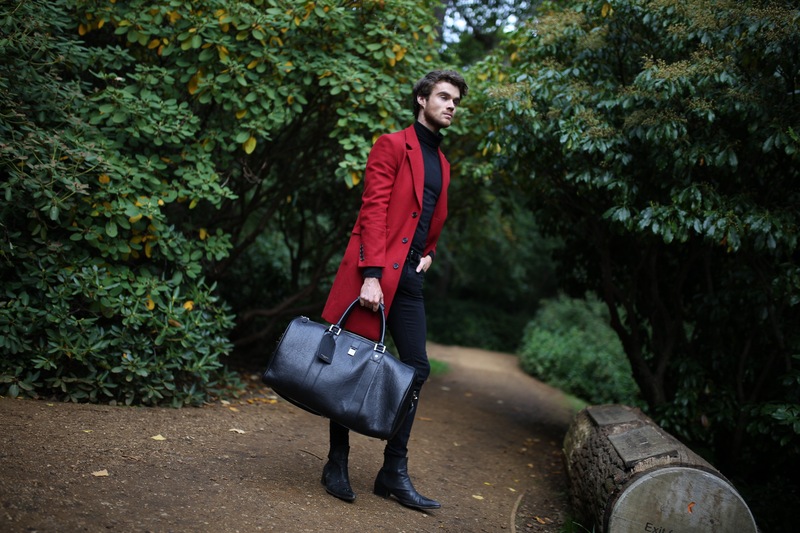 The Boston Travel Bag is a quintessential holdall for the discerning gent. For their 2017 London Fashion Week Showcase, Aspinal chose the theme of “A Night on The Orient Express”. Held at Claridges – would you expect anywhere else from this brand of British heritage – guest were greeted by biscuits shaped like the famous moustache of Christie’s classic Poirot , and cakes topped by edible vintage luggage tags stickers. The collection itself is stunning as expected, celebrating the golden era in elegant travel. The whole collection gives a nod to the romance of a bygone era, where people took as much pride in their hold-alls and accessories as they did the outfits themselves. The collection features the classic Aspinal pieces that we have grown to love, while incorporating a stunning set of new items. The materials chosen for the collection are completely in keeping with the opulence of the era they are harkening back too, and don’t get me started in the colours! You will totally feel like you hoped on the Orient Express and have gotten off in some far off land, with beautiful bright pops of dahlia, cherry and blue moon! This is one collection that I am super excited to hit the shops, and I’m sure you will be seeing a lot more of on my blog and feed! I work for Aspinal of London so it’s great to see your really nicely written commentary on the brand. I love your blog and insta, too, so well cultivated. I was wondering where you got the red jacket from? I love it because I wear a lot of black but might start adding some colours in there. Hey Gareth, ah so glad you like it! The jacket is from Asos, totally a great way to inject some colour!